A converso (Spanish: [komˈberso]; Portuguese: [kõˈvɛɾsu]; Catalan: convers [kumˈbɛrs], [komˈvɛɾs]; "a convert", from Latin conversvs, "converted, turned around") and its feminine form conversa was a Jew who converted to Catholicism in Spain or Portugal, particularly during the 14th and 15th centuries, or one of their descendents. 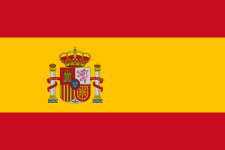 The majority of Spain's Jews converted to Christianity as a result of the pogroms in 1391. The remaining Jews who had chosen to remain practicing Jews were finally expelled during the Alhambra decree in 1492. However, even a significant proportion of these remaining practicing Jews chose to join the already large Converso community rather than face exile. Over the following two centuries Conversos were subject to discriminatory laws and harassment by the Inquisition. Those Conversos who did not fully embrace Catholicism and continued to practice Judaism were referred to as marranos. New Christians of Muslim origin were known as moriscos. Unlike Marranos, Moriscos were subject to an edict of expulsion even after conversion, which was implemented severely in the eastern region of Valencia and less so in other parts of Spain. Nevertheless, overall Moriscos were subject to considerably less suspicion and hostility from the wider Christian community than the Jews and Jewish-descended Conversos. 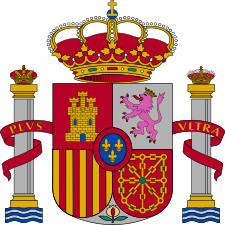 Conversos played an important role in the 1520-1521 Revolt of the Comuneros, a popular revolt and Civil war centred in the region of Castile against the imperial pretensions of the Spanish monarchy. Conversos were subject to suspicion and harassment from both what was left of the community they were leaving and that which they were joining. Christians and Jews called them tornadizo (renegade). James I, Alfonso X and John I passed laws forbidding the use of this epithet. This was part of a larger pattern of royal oversight, as laws were promulgated to protect their property, forbid attempts to convert them back to Judaism or the Muslim faith, and regulate their behavior, preventing their cohabitation or even dining with Jews, lest they convert back. The conversos did not enjoy legal equality. Alfonso VII prohibited the "recently converted" from holding office in Toledo. They had supporters and bitter opponents in the Christian secular of general acceptance, yet they became targets of occasional pogroms during times of social tension (as during an epidemic and after an earthquake). They were subject to the Spanish and Portuguese inquisitions. While pure blood (so-called limpieza de sangre) would come to be placed at a premium, particularly among the nobility, in a 15th-century defense of conversos, Bishop Lope de Barrientos would list what Roth calls "a veritable 'Who's Who' of Spanish nobility" as having converso members or being of converso descent. He pointed out that given the near-universal conversion of Iberian Jews during Visigothic times, (quoting Roth) "[W]ho among the Christians of Spain could be certain that he is not a descendant of those conversos?" According to a widely publicised study (December 2008) in the American Journal of Human Genetics, 19.8 percent of modern Spaniards (and Portuguese) have DNA originating in the Near East during historic times (i.e. Phoenicians, Carthaginians, Jews and Levantine Arabs) - compared to 10.6 percent having DNA reflecting North African ancestors. ↑ Adams, Susan M.; Bosch, Elena; Balaresque, Patricia L.; Ballereau, Stéphane J.; Lee, Andrew C.; Arroyo, Eduardo; López-Parra, Ana M.; Aler, Mercedes; Grifo, Marina S. Gisbert; Brion, Maria; Carracedo, Angel; Lavinha, João; Martínez-Jarreta, Begoña; Quintana-Murci, Lluis; Picornell, Antònia; Ramon, Misericordia; Skorecki, Karl; Behar, Doron M.; Calafell, Francesc; Jobling, Mark A. (2008). "The Genetic Legacy of Religious Diversity and Intolerance: Paternal Lineages of Christians, Jews, and Muslims in the Iberian Peninsula". The American Journal of Human Genetics. 83 (6): 725–36. doi:10.1016/j.ajhg.2008.11.007. PMC 2668061 . PMID 19061982. ↑ "Spanish Inquisition left genetic legacy in Iberia - life". New Scientist. 4 December 2008. Retrieved 2012-02-10. ↑ Zalloua, Pierre A.; Platt, Daniel E.; El Sibai, Mirvat; Khalife, Jade; Makhoul, Nadine; Haber, Marc; Xue, Yali; Izaabel, Hassan; Bosch, Elena; Adams, Susan M.; Arroyo, Eduardo; López-Parra, Ana María; Aler, Mercedes; Picornell, Antònia; Ramon, Misericordia; Jobling, Mark A.; Comas, David; Bertranpetit, Jaume; Wells, R. Spencer; Tyler-Smith, Chris; The Genographic, Consortium (2008). "Identifying Genetic Traces of Historical Expansions: Phoenician Footprints in the Mediterranean". The American Journal of Human Genetics. 83 (5): 633–42. doi:10.1016/j.ajhg.2008.10.012. PMC 2668035 . PMID 18976729.